As it is the last day of 2015 it only seems appropriate to reflect on the past year, both in terms of myself and my blog. 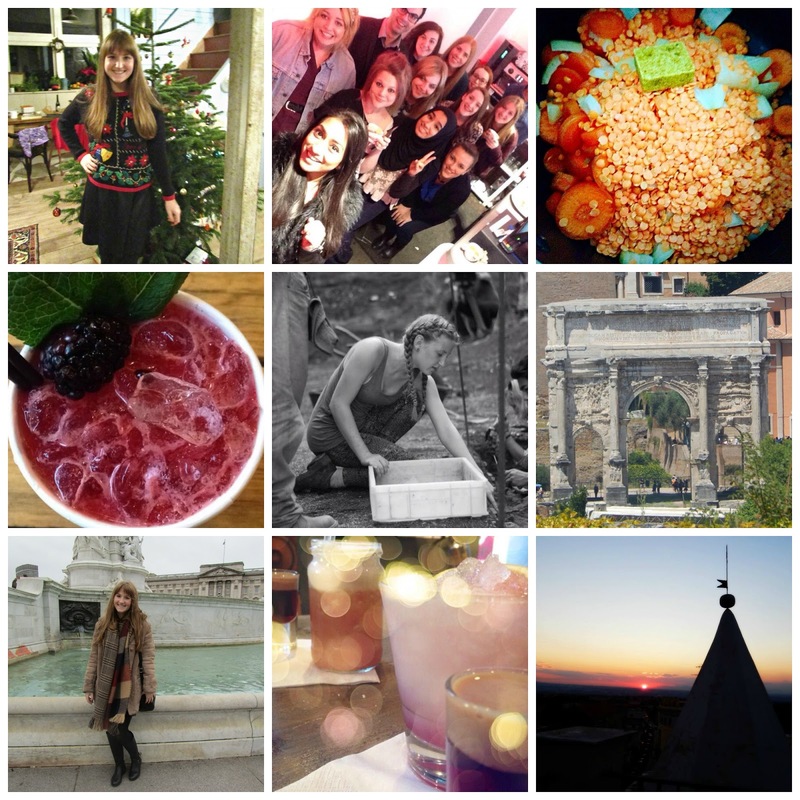 I did something similar last year, posting a list of 14 things I had done in 2014, and thought that I'd look back on the year again but in a more chatty post this year. I've seen lots of other bloggers post about their achievements and how they've developed and I always find it interesting to read these styles of posts to see how people view their own year. As I'm sure you'll have seen if you've followed my blog, I've improved in many aspects. I've made a good attempt at getting posts up more regularly, and started a couple of 'series' to get me into weekly posting. It's no secret that those series didn't last long, but it did introduce new topics to this space. I've been eager to share lots of different aspects, and found recipes - both healthy and unhealthy - have found their place here, as well as make up and product reviews. I've even shared a couple of OOTDs, which I mentioned when initially posting them, was a new, scary but exciting angle for me to take. I was able to take part in Blogmas this year, which was tiring and challenging. I've certainly seen the pros to scheduling posts and planning posts. Although I did miss two days of blogmas, I've very proud of getting 22 posts up in December and hope that you all enjoyed them too. I've noticed a huge increase in the traffic of my blog, and am still amazed by the number of people who read it and from so many different countries. My follower count is increasing on all social platforms, and I've been given so many opportunities already where I've been able to meet other bloggers who I admire and be introduced to some great brands. As I blog about so many things here, nothing in my life really goes unmentioned. The most notable part of my year was my trip to Italy. This was a scary experience, which I was excited for, but extremely nervous about setting foot in another country without the comfort of my family. This trip turned out to be the best thing ever, and I'm planning to return next summer for longer. Not only did I get to develop my skills as an Archaeologist, I was also able to travel to and explore many of the places I've learnt about and dreamt of visiting. You can see all those posts here. My summer was already crazy with this trip, but I decided to add even more adventure to it by taking a trip to Manchester, Leominster and even further a field by jetting off to Magaluf. This summer was truly exceptional and I was bit with the travelling bug. Being in new and exciting places, whether in the UK or abroad, makes me happy and I love discovering new areas and cultures. 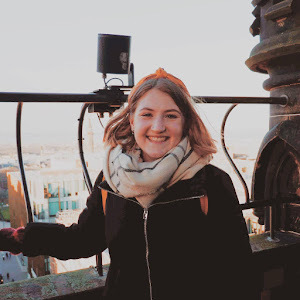 In my look at what I hoped 2015 would bring that I wrote at the start of the year, I said that I wanted to feel more settled at university and I would hopefully enjoy my courses. Already by the end of second year I was feeling happy and settled, a huge leap from the start of the year. Now I am feeling so happy. I've found my place, and I feel comfortable where I am. My subjects are interesting and enthuse me, and I love my friends and feel like I've got a good support network around me. I've also started some volunteering positions that I enjoy and want to take part in. This makes me feel excited for next year, to see what it brings and where I end up. Tomorrow I'll be sharing a post with my plans and goals for 2016, so all I can say right now is that I can't wait to see what it'll bring. What are your thoughts at the end of another year? Are you looking forward to 2016 and do you have anything you want to improve on? I wish you all a very happy new year, and hope you enjoy however you spend this hogmanay!